But don't fear we'll be back bright and early at 6am with all the latest business news so make sure to come back and read then. Wall Street has ended the day lower, extending Tuesday's broad declines amid a drop in oil prices and disappointing corporate forecasts. The Dow Jones fell 138.19 points or 0.59% to 23,271.28, while the wider S&P 500 index ended 14.25 points or 0.55% lower at 2,564.62. Meanwhile the tech-focused Nasdaq index declined 31.66 points or almost 0.47% to 6,706.21. Target was among the biggest losers, after it issued a soft forecast for the holiday season. And if you missed this earlier, Greggs latest promotion has managed to grab people's attention but not necessarily for the right reason. The baking chain's launch of its first advent calendar alongside promotional photos of nativity scenes where Jesus was replaced with a sausage roll have caused some upset. Greggs subsequently apologised for the image, saying it hadn't planned to upset anyone. "We're really sorry to have caused any offence, this was never our intention," the firm said in a statement. Talking of flying matters, Airbus earlier struck its biggest single deal with an order for 430 aircraft worth $49.5bn at list prices from US investment firm Indigo Partners. Indigo, whose interests include Europe's Wizz Air, US-based Frontier, and Mexico's Volaris, will buy Airbus's A320neo family of aircraft. The Airbus aircraft, whose wings are made in the UK, will be deployed across Indigo's airlines, which also includes JetSmart in Chile. The US military is reported to have approved Lockheed Martin Corp's new CH-53K heavy-lift helicopter to fly at the Berlin air show next April, according to reports. The CH-53K's international debut comes as a German helicopter competition looms. The German defence ministry is nearing the kickoff of a competition valued at nearly €4bn between two US helicopters - Lockheed's massive Sikorsky CH-53K and the smaller Boeing Co CH-47 twin-rotor helicopter. Bringing the CH-53K helicopter to Berlin will allow military officials to compare the two aircraft on site. A Thai criminal court has said it will examine a 14bn baht ($423m; £321m) lawsuit brought against Thai duty-free giant King Power International, the company that owns English Premier League football club Leicester City. The Central Criminal Court for Corruption and Misconduct Cases in Bangkok said it would look into the allegations made in the lawsuit to determine whether there was a case to be heard, and would review the list of potential evidence and witnesses in February ahead of preliminary hearings. YouTuber and blogger Zoella has had to apologise for old tweets she wrote in the past about gay people and "chavs". The posts, from 2009-12, which have now been deleted, have been called out for "fat shaming" and being homophobic. Miss Sugg has already come under fire this week for her 12 Days of Christmas Advent Calendar. The product has seen its price slashed from £50 to £25 by retailer Boots, after it was criticised for being bad value for money by customers. It's easy to think she has nothing to do with business, but in fact Miss Sugg's fashion and beauty vlog, which launched in 2009, now has more than 11 million subscribers making it one of the most successful UK vlogs. Her book Girl Online also became the fastest selling debut novel ever when it was released in 2014. German bank merger on the cards? Earlier today US private equity fund Cerberus announced it had taken a 3% stake in Deutsche Bank. The move comes after Cerberus bought a 5% stake in rival German bank Commerzbank in July. Cerberus is now the fourth-largest shareholder in Deutsche Bank and the second-largest investor in Commerzbank. The stakes are fuelling speculation that a tie-up between the two is on the cards. But both banks are in the midst of big organisational overhauls and according to reports officials at both banks have scotched talk of any kind of merger deal until these restructurings are complete. The disappointing holiday forecast from retail chain Target has made investors nervous about what to expect from Walmart. The retail giant is due to release its third quarter results at midday tomorrow and the fact its shares are currently trading 0.5% lower suggests investors are wary. Like most retailers it's up against harsh competition from Amazon and much of the focus on its results will be on how Walmart's aggressive efforts to expand its online offering have fared. Target's shares meanwhile have stayed low, they're currently down a whopping 9%. The president of Angola, Joao Lourenco, has fired the daughter of his predecessor as head of the country's state oil company Sonangol. Isabel Dos Santos, the billionaire daughter of former President José Eduardo dos Santos, is Africa's richest woman. Mr Dos Santos was Africa's second longest-serving leader until he stepped down in September after 37 years. Wall Street is still down, with the Dow Jones and S&P 500 both slipping 0.4% and the Nasdaq down about 0.3%. Globally stocks are heading for their longest losing streak in around eight months, with weaker commodity prices taking their toll around the world. But Andrew Frankel, co-president of Stuart Frankel & Co, says there's no need to panic. "We've had ten months of gains. You have a need for some sort of pullback. Down less than 1% is not a major move here. In my view it's a blip," he says. US Consumer Financial Protection Bureau director Richard Cordray has announced he will leave at the end of the month. His departure comes ahead of his official tenure which was due to end in July next year. The regulatory agency was created after the financial crisis. In a note to staff, Mr Cordray said he hoped "that new leadership" would see the value in the agency, and "work to preserve it - perhaps in different ways than before, but desiring, as I have done, to serve in ways that benefit and strengthen our economy and our country". Will AT&T deal get the go-ahead? Reports suggest that AT&T's deal to buy Time Warner is still looking very much up in the air. Competition authorities have been scrutinising the $85.4bn (£70bn) takeover since it was announced in 2016. But according to Reuters, the US Justice Department has now approached state attorneys to try to win their support for a bid to block the deal. The Trump administration had already been reportedlypushing for Time Warner to sell assets such as CNN before it would approve the tie-up. And last week an AT&T executive said he no longer expected the deal to close this year. Celebrity chef and restaurateur Antonio Carluccio, who sadly died last week, had given an interview to the BBC's Food Chain just days before. Despite the oil price weighing on oil and mining stocks, the price of a barrel has actually improved a bit from earlier trading. The US government's report showed a rise in crude stocks last week with them climbing by 1.85 million barrels compared to earlier forecasts of a 2.2m drop. Despite the unexpected rise, it was lower than the the increase of 6.5 million barrels reported Tuesday by industry group the American Petroleum Institute (API). "Overall, the report is somewhat supportive because it was not as bearish as the previous API report last night - that is why we are slowly digging our way out of the downside seen earlier this morning," said Phil Flynn, senior energy analyst at Price Futures Group. The FTSE 100 has closed down 41.81 points, or 0.56%, lower at 7,372.61 to around its lowest level since early last month. Oil and mining stocks ended up the biggest losers due to further falls in global oil and commodity prices, with Brent crude slipping around 0.6% to $61.83 a barrel. Glencore and Anglo American, along with oil giants BP and Shell all ended the day lower. The 48-hour strike by driving examiners in England, Wales and Scotland on 4 December has been sparked by the new driving test. The Public and Commercial Service (PCS) said examiners, who are employed by the Driving and Vehicle Standards Agency (DVSA), were being told to work harder as the tests come into force. The DVSA has said the new test would better assess safe driving skills. But what's new in the test? This video spells out the changes, including the need to follow directions from a sat nav and drive into a parking space. Greece is trying to boost its market liquidity ahead of a hoped-for exit from its current bailout programme next August. It has asked private bondholders to trade in debt issued in 2012 for new holdings with longer maturities of between five and 25 years. Greece returned to bond markets with a five-year bond in July, its first market foray in three years, and said it wants to test investors' appetite several times before its current bailout expires in August 2018. Where in the UK's winning on employment? 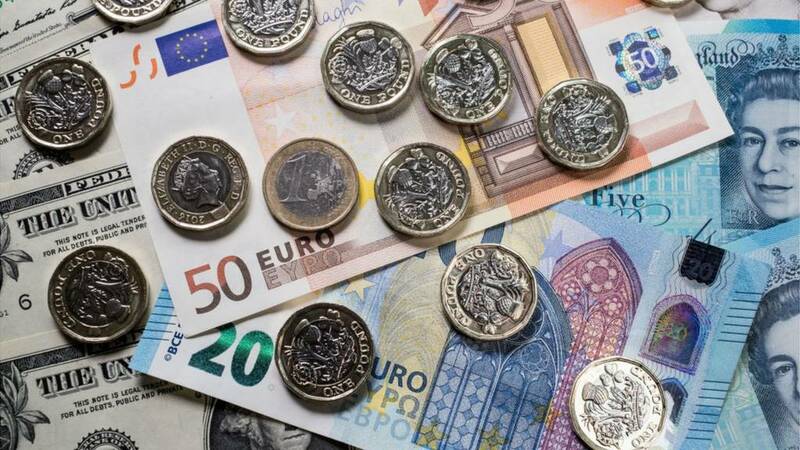 Wages continue to lag behind the cost of living in the UK, while unemployment remains at a 42-year low, we found out from the latest employment data. But do you know where in the UK is faring best? Have a look at our handy chart below. The weak performance on Wall Street is partly due to the weak US inflation data for October, something Capital Economics believes heightens the chance of more rate hikes from the Fed next year. US consumer prices barely rose last month, edging up just 0.1%. It's a sharp contrast to September's 0.5% jump. "With signs that underlying inflation pressures are starting to pick back up again, we think the Fed will need to step up the pace of tightening next year, raising the Fed funds rate a total of four times in 2018," Michael Pearce, US economist, at Capital Economics said.